During its meeting held on 22 November 2017 in Brussels, the CECIMO General Assembly elected Dr Roland Feichtl as President of CECIMO for a period of two years. 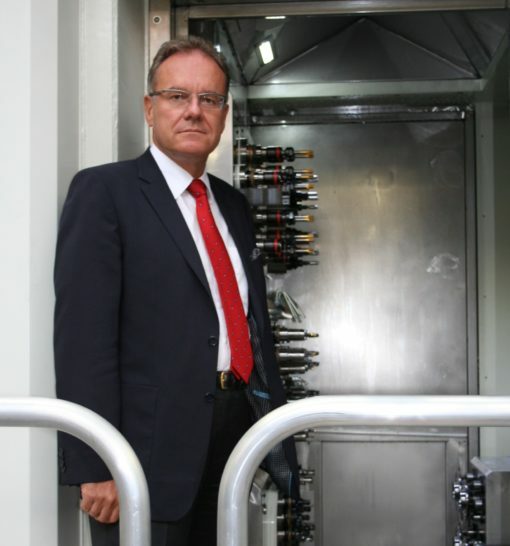 Succeeding in this role Mr Luigi Galdabini, Managing Director at CESARE GALDABINI S.p.A., Dr Feichtl has been entrusted with the responsibility of leading the European Association that represents more than a third of the world machine tool (MT) production. During his Presidency, Mr Galdabini strongly addressed the issue of the investment gap. According to Mr Galdabini, corporate investments in Europe do not compensate for the depreciation rates. The obsolescence of the machinery park risks dragging European industry into a downward spiral of low productivity- low value added- low profitability. CECIMO President Dr Feichtl affirmed that, in line with the previous presidencies, he “will continue to promote the strategic importance of our industry towards European authorities and citizens. I will make sure that manufacturing and the re-industrialisation remain on top of the EU policy priorities”. He underlined how in such a complex environment, businesses are faced with common grand challenges such as globalisation, climate change, resource efficiency, regulatory pressures, and the increasing weight of emerging economies. “A few decades ago, maybe it was possible for companies and countries or regions to solve all their problems on their own” he added. “This is not the case anymore. Machines, factories, companies and, yes, also countries are linked more than ever”. CECIMO should help its members to tackle their challenges together. During his presidency, he will follow closely the initiatives of the European Commission in the field of the Digital Single Market, which aims at achieving considerable benefits for the digital economy. Under his mandate, CECIMO will “develop industry information and expertise in new emerging areas of importance, e.g. 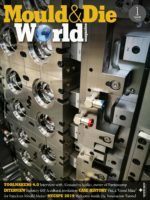 Digitisation, Digital Platforms, industrial security and trust, as well as monitor new customer technologies, that change the workpieces to be machined like new drivetrain. CECIMO will look for the support of European authorities to sustain the efforts of its member companies in providing machine tool solutions that improve the energy-efficiency of combustion engines. Through this and similar actions, our industry contributes straightforwardly to the challenge of CO2 reduction for our society. In a market driven economy, Authorities should only set targets, but not select a special technology as the right one to solve complicated technical issues. Dr Feichtl will “use the success of the Italian campaign for tax and other incentives to promote the modernization of the machine tool infrastructure in the other CECIMO countries” and will push forward the discussion on circular economy within our Association and with industry stakeholders in order to achieve our sustainability objectives. Beside this as President of CECIMO, he will continue to “explain to European authorities and citizens the strategic role our industry plays in boosting jobs, growth and investment across Europe, as well as the necessity to improve the business environment, in order to ensure the development of Europe’s manufacturing base within its borders, maintain its competitiveness and ensure a level playing field for our industry”.